First Listen: Jarrod Lawson helps Swatkins stay "Positive"
(April 12, 2019) As we’ve written over the past half decade, Portland, Oregon has become one of the most intriguing soul music cities, boasting such up-and-coming talents as Tahira Memory, Ronnie Wright, and Jarrod Lawson, with the “coming out” party being 2015’s Bespeak Love album. Another Rip City act, Swatkins and his band Positive Agena, join the mix next month with the Positive Agenda EP, due on May 24. 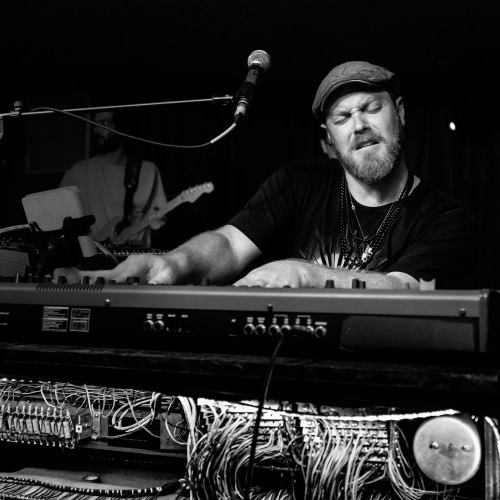 A multi-instrumentalist, Swatkins plays feel-good funk, often highlighted by his use of the talkbox, an effect made famous more than three decades ago by another fun and funky group, Zapp and Roger. On our latest First Listen, Swatkins teams up with Jarrod Lawson for a trifle of funk that introduces the upcoming album. “Welcome To The Positive Agenda” lopes at a slow swing, with Lawson and the talkbox back-and-forthing in front of a full sounding band. Check this song out and “Welcome” Swatkins and his mates to SoulTracks!